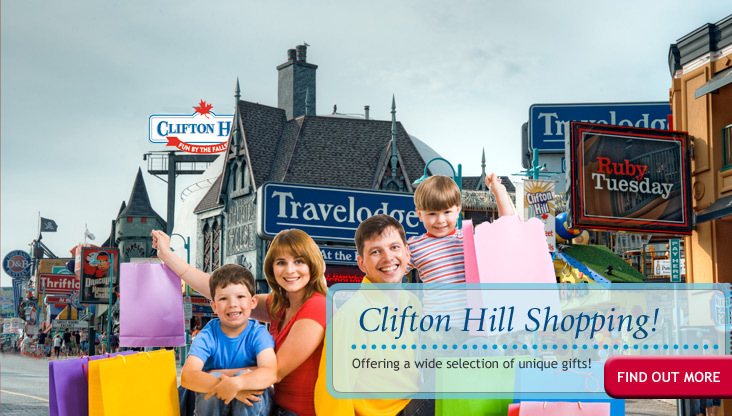 Clifton Hill in Niagara Falls has souvenirs and gifts to suite every taste. Everywhere you turn you can see a gift shop full of interesting and fun souvenirs. There is a big perk if you stay at the Travelodge At the Falls on Clifton Hill. When you buy in one of our stores, you get 10% off! Shopping in Clifton Hill is a unique experience. From t-shirts to Harley Davidson memorabilia, Clifton Hill has it all! Welcome to the Niagara Falls Shopping District! Clifton Hill is a unique shopping and attractions district with lots to see and do, and even more to discover in the variety of gift shops along the walkway. Experience the unique character of Niagara Falls' Clifton Hill, where famous name brands in fashion, dining and entertainment have resided for years. 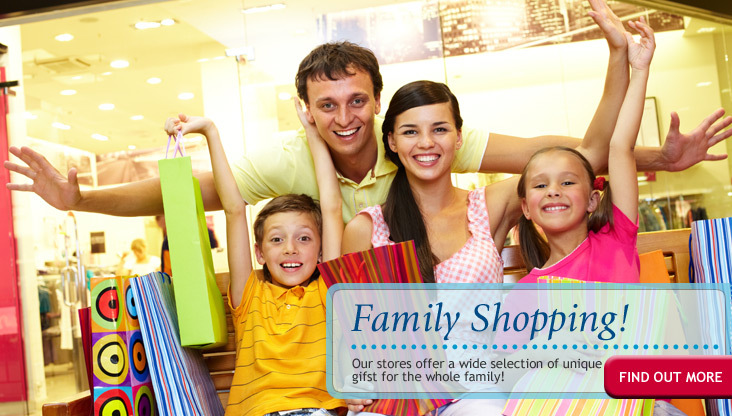 Our stores offer a wide selection of unique gifts, from collectibles, novelties, T-shirts and more. Find your own special Niagara Falls souvenir in the very latest of licensed products like Harley-Davidson, Corona, Sons of Anarchy and TY, to name a few. Find out for yourself! Check out the incredible shops that decorate Clifton Hill, The Street of Fun At the Falls in Niagara Falls. Come, spend the day, the afternoon, and the night! 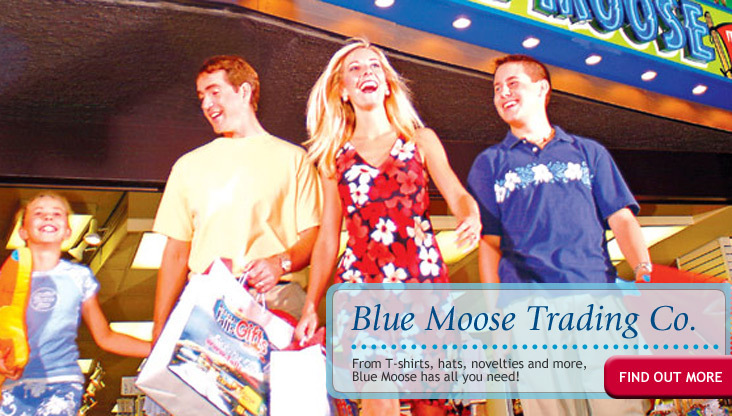 Show your Canadian pride, or get a taste for it with a variety of gifts available at Blue Moose Trading Co. From T-shirts, hats, and more, Blue Moose. has what you are looking for. What better way to remember your trip to one of the most scenic sights in the world than with the perfect souvenir! Niagara Falls Gifts has plenty of gifts to mark your memories of the Falls. Locted on the walk down Clifton Hill to the Falls, Honeymoon Gifts offers a wide selection of gifts for family, friends, couples and more to share the Falls' experience with your loved ones. Bringing you a selection of brand name stores with the best prices every day of the year. Niagara Square Shopping Centre is a suburban mall located in Niagara Falls, Ontario. 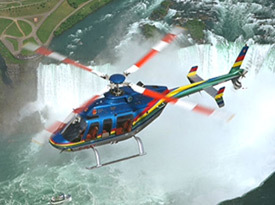 Just 20 minutes from Niagara Falls, with 180 brands from across North America and Europe.